The 14th Annual Carolina Mountains Literary Festival is pleased to announce that a watercolor by Claire Simpson Jones has been chosen to represent the Festival theme of On The Move- stories of migration, immigration and travel. The Festival will be September 5-7, 2019 in Burnsville, NC. Claire Simpson Jones has also supported the Festival as she and her visual arts classes at N. Buncombe High School make Altered Book Centerpieces for the Banquet tables and the Silent Auction. She worked for several years in Canada as an illustrator and graphic designer before turning to studio and plein air painting. She holds a BFA from FAU and is a signature member of the NC Watercolor Society, a member of the Southern Watercolor Society and several nature organizations. 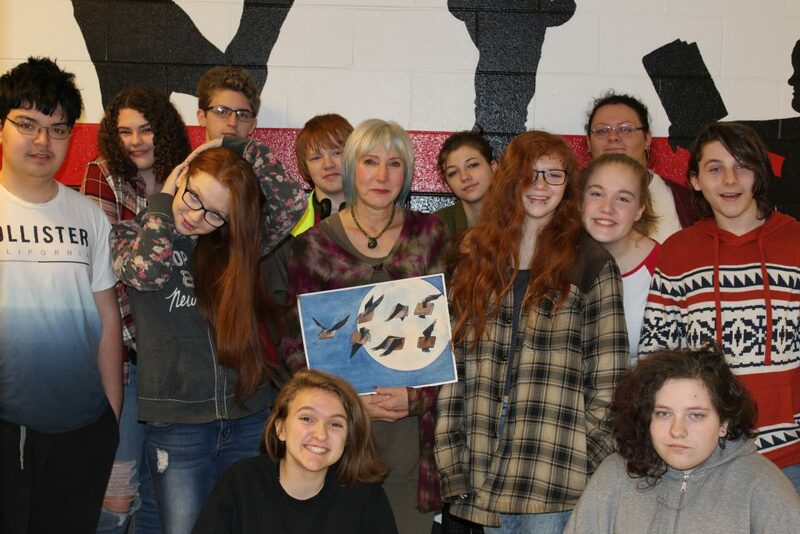 She is a Burnsville resident who teaches visual arts at N. Buncombe High School. Her work is in collections at Grove Park Inn, Renaissance Hotel, the Hilton, Givens Estates, Hendersonville Country Club, Home Trust Bank and private collections. The Festival will be on September 5-7, 2019 with free readings, a multi-media production on Thursday night, a banquet with speaker Andrew Lawler and the Saturday night Keynote with Charles Frazier. Watch the website – more information is coming soon at cmlitfest.org You can also sign up for our enews mailing list, to volunteer and to donate to the Carolina Mountains Literary Festival.